Six Great Britain boats secured their place in next summer's Rio Olympics by progressing at the World Rowing Championships in France. The men's and women's pair, the men's quad and four and the lightweight men's and women's double scull boats will all be heading to Brazil. They booked their places by reaching their respective world finals. 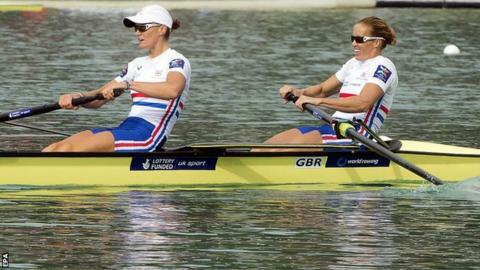 Olympic champions Helen Glover and Heather Stanning were among those to win their semi-finals.